Roy Therman Ogden, 76, of Mayetta, passed away Tuesday, March 17, 2015, at Stormont-Vail Hospital. He was born Oct. 21, 1938, in Mayetta, the son of Rusty and Clara (Tapsee) Ogden. Roy graduated from Mayetta High School in 1957. After high school he proudly served in the United States Army. Roy worked for and later retired from DuPont. He was a bus driver for USD 337. He also worked for the Jackson County Road and Bridge crew. He was a Jackson County Com­missioner and later served on Tribal Council. He was a member of Land Management Board. He was a lifetime member of Ameri­can Legion We-ta-se Post 410. 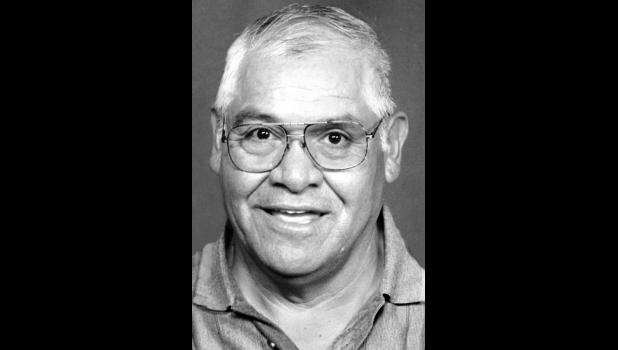 Roy coached many children in baseball and softball and enjoyed watching his grandchildren in all sports and activities. Roy married Shirley L. Marshall on Aug. 3, 1964 in Lawrence. She survives of the home. Other survivors include two daughters, Royce Ogden (Chad) of Mayetta and Laura Ward (Jim) of Topeka; three sons, Jarrod Ogden (Jolene) of Mayetta, Justin Ogden (Mary) of Mayetta and Jason Ogden (Vanessa) of Hoyt; three sisters, Mildred Rohr of White Cloud, Cass Marlow of Capay, Calif., and Irene Henninger of White Cloud; his brother, Larry Ogden (Carolyn) of Bonner Springs; and his 19 grandchildren and one great-grandchild on the way. He was preceded in death by a sister, Cora Humm; and three brothers, Louis, Herman and Ly­man Ogden. Funeral services were held Mon­day morning, March 23 at Mercer Funeral Home in Holton. Burial with military honors was held in Mayetta Cemetery.